So in tonight’s eat and rerun, I get real again with special guest Kristin Wartman about foodiness diets; how foodiness is what is making us fat (and stupid) in the first place, and products like Isagenix, Nutrisystem and Sensa are just foodiness solutions to foodiness-made problems; how, with ingredients like artificial sweeteners, yellow #5, stimulants and polysorbate 80, foodiness diets are about as real (and good for your health) as Nicole Richie’s reality show about her QVC fashion line; how, if they worked, celebrity endorsers like Kristie Allie and Jessica Simpson would stay thin; and how if we just ate real food we’d lose weight…and probably be smart enough to realize we shouldn’t be listening to Jessica Simpson. 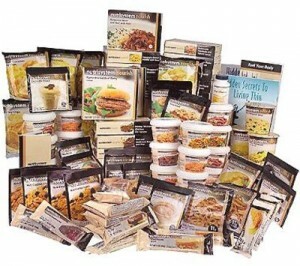 And seriously, take a look at a product like Isagenix – it’s artificially colored and flavored brown powder. At least in my day when it was swimsuit season we dieted on cottage cheese and Tab – not Soylent Brown. So if you want to stay thin and you don’t want to eat Soylent Brown, tune in! 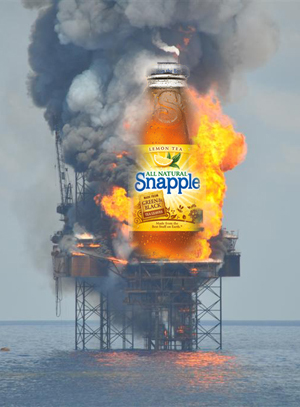 In tonight’s episode – Snapple Is To Tea What BP Is To The Gulf – I get real about what foodiness has done to tea; how, like liquor and coffee, tea was once an acquired taste for adults, and how, also like booze and coffee, tea has been candified and flavorized and diet-ized and infantilized and turned into tea-flavored Kool-Aid; how adding 10 thousand grams of sugar and artificial flavors, colors and sweeteners to tea and packaging it as healthier than soda is like polluting the Gulf with 10 billion tons of oil and then claiming its gone just because you can’t see it anymore; and how, if you’re going to drink real tea buy tea leaves or tea bags and boil it at home like an adult, otherwise go ahead and drink Kool-Aid. You can always say you’re being ironic. So if you don’t want to drink sh*t and you don’t want to be the kind of person who doesn’t know the difference between real tea and Kool-Aid flavored “tea”, tune in! In tonight’s episode – If You’re Drinking Girl-Scout Cookie Flavored Coffee, It’s Time For Serious Self-Examination – I get real about what foodiness has done to coffee; how, like liquor, coffee was once an acquired taste for adults, and how, also like booze, it’s been candified and infantilized and turned into anytime desert; how wiping out unflavored coffee altogether and replacing it with pumpkin pie, caramelized bacon and now even artificially-flavored Girl Scout Cookie flavored coffee is like replacing jazz with gangsta rap in the remake of The Great Gatsby – the point is to erase the real thing altogether so our only choice is the fake doppleganger; and how, if you’re going to eat Girl Scout Cookies, eat Girl Scout Cookies, otherwise order your coffee black like an adult (unless you’ve had teeth whitening, in which case it’s okay to order it light). So if you want to eat food and drink coffee like an adult and not sip on 10,000 calorie coffee flavored like artificially flavored girl scout cookies and you want to be the right kind of people, tune in!